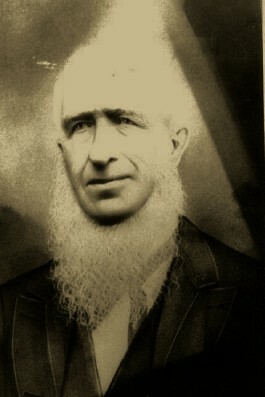 Dr. Thomas J. Pollard was born October 27, 1805 near Lexington, Kentucky. He died at the age of 84 on December 23, 1889 in Fayetteville, Arkansas and is buried in the city’s Evergreen Cemetery. He was named for President Thomas Jefferson who was in his second term when Pollard was born. To his friends and colleagues he was known as Jeff. As a young man he studied medicine under various doctors for three years, then attended Transylvania University in Kentucky and received his M.D. in 1828. Soon thereafter he settled in Fayetteville, Arkansas making his home on Meadow Street. During his first two year in Fayetteville he helped establish the First Christian Church and remained an active member until his death. One of the stained glass windows still in the old church features his name. On April 14, 1830 he married Mary Willis Stirman, daughter of the minister. Through his leadership in the Christian Church, he was instrumental in chartering Arkansas College as the first degree-conferring college in Arkansas. He also served on its college board. Dr. Pollard is listed with the first Arkansas registration of physician in 1881. The Washington County Medical Society was organized by 10 Doctors on July2, 1872 in Dr. Pollard’s office. He was elected the first president and later was vice president of the Arkansas Medical Society. He practiced medicine for more than 60 years.